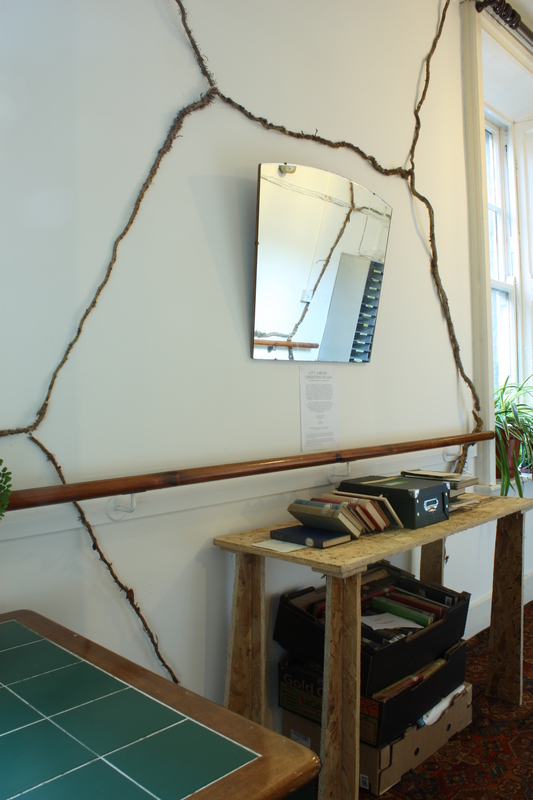 Installation work by visual artist Méadhbh O’Connor made on occasion of the LFTT Library Residency at Broadstone Studios in October 2011. The work was installed in The Library in reference to Jorge Luis Borges’ short, allegorical story ‘The Library of Babel’ in which the universe is composed of an infinite number of interlocking hexagonal galleries, each housing twenty shelves of books. The books contain every possible ordering of just a few basic characters: 22 letters, spaces and punctuation marks, which leads to the frantic, cultish and chaotic efforts of the Universe’s inhabitants to decipher meaning from the books. 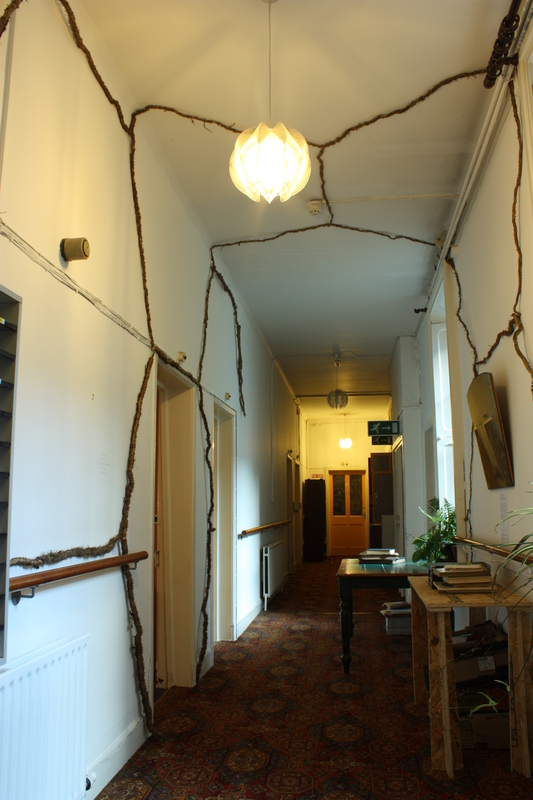 For The LFTT Library Broadstone Residency, Méadhbh installed a passageway of hexagons out of creeper vine to lead visitors into the LFTT Library, marking it as one room of possible arrangements of language and meaning from Borge’s allegorical universe. The work remains installed at Broadstone Studios.